Mezzetta partnered with agency Linqia to create a three-phase campaign with social influencers in food, parenting, and lifestyle verticals. Mezzetta, which specializes in jarred olives, peppers, and pasta sauces, has launched a three-phase campaign calling on influencers to generate original content aimed at driving engagement across social media platforms. Mezzetta partnered with agency Linqia to create the campaign with social influencers in food, parenting, and lifestyle verticals. Mezzetta and Linqia began planning for the campaign in late 2015. The aim was to create a set of programs for the summer, fall, and winter months. In order to increase awareness for the Mezzetta brand, the campaign team sought to partner with hundreds of "power-middle influencers," defined as everyday people who have organically built a social following of between 10,000 and 250,000 people. "Individually, power-middle influencers may not have massive reach numbers like some well-known celebrity or top-tier influencers, but collectively they can reach a far larger audience," said Maria Sipka, president and cofounder of Linqia. "Additionally, their content is appealing because it comes from everyday people who have strong rapport with their audience and are incredibly effective at driving action." Influencers were asked to create content based on Mezzetta products, as well as provide links to upcoming giveaways and sweepstakes associated with the seasonal programs. According to the campaign team, program success was dependent on three things: Traffic to Mezzetta landing pages, measured by the number of clicks to specific landing pages; original content, measured by the number of original photography and recipe content created; and audience engagement, measured by click-inspired engagements, which include comments, likes, shares, retweets, Pinterest repins, and favorites. The 2016 Mezzetta Storybook program spans six months and features three segments to the overarching Storybook campaign: Bold, Bright Summer (June 13 - July 11); The Story of Sauce (August 16 - September 6); and Holiday Program (November - December). Power-middle influencers were tapped to create original recipes, photography, and videos featuring Mezzetta products and share them on their blogs and across all of their social channels. Because each influencer creates original content, the program provides Mezzetta with hundreds of nuanced messages around its products. Mezzetta can repurpose the influencer content on its own social channels and through paid messaging without the hefty price tag associated with celebrity or top-tier influencers. The influencer pricing model is cost-per-click, so Mezzetta only pays for consumers who have taken an action because of the influencer content. The summer segment encouraged influencers to use Mezzetta peppers as both spicy and savory ingredients for summer grilling. It also had the goal of calling attention to Mezzetta’s Summer Grilling Giveaway, which included a Weber Gas Grill and grilling accessory sets. 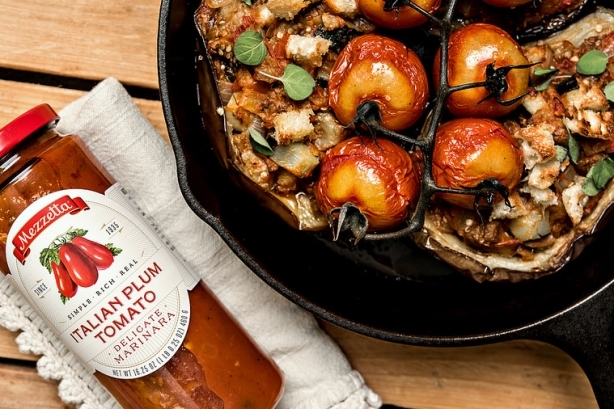 In the fall, influencers highlighted flavorful recipes using the brand’s marinara sauces and inspired audiences to enter Mezzetta’s sweepstakes trip to Italy through an email sign-up on the campaign landing page. "One new component we introduced in this Storybook is the use of user-generated video," added Sipka. "Select influencers were chosen to create process-related videos for their recipes that showed how Mezzetta products were used." The winter season will focus on featuring Mezzetta products in holiday appetizers. The giveaway and sweepstakes is still to be decided. Thus far, the campaign has generated more than 4,000 pieces of original content about the Mezzetta brand, including photos, recipes, videos, blog stories, and social posts. The program also helped produce a 50% email survey response from a distribution list that was populated with leads who visited the giveaway landing pages. Mezzetta’s distribution list has grown from zero to nearly 50,000 since launching the program. The campaign messaging has resulted in 1,300 Pinterest pins with 5,800 repins. 44 million consumers have been reached since the campaign’s launch.